I receive many calls from people telling me they have a virus, but 99% of the time the virus is fake. This is not limited to Window's PC's but Apple Macs as well. How do you know if you have a fake virus? 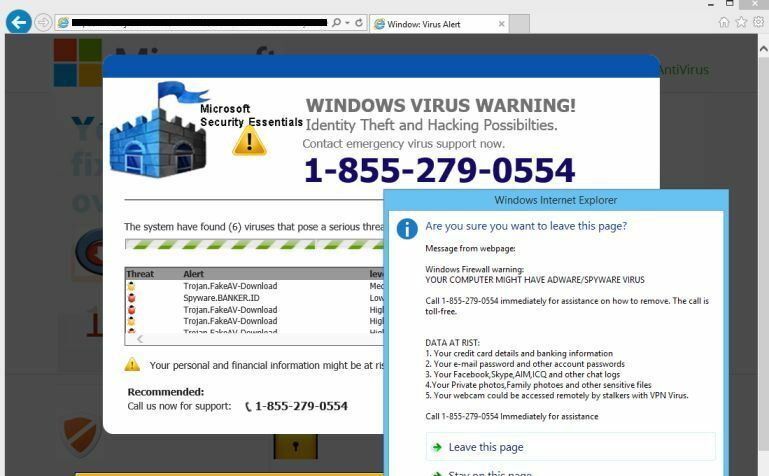 - All the images above are examples of what will pop-up on your screen when you have a fake virus (these are just the most common - there are many more). - The biggest tip off is that there is a toll-free number to call. 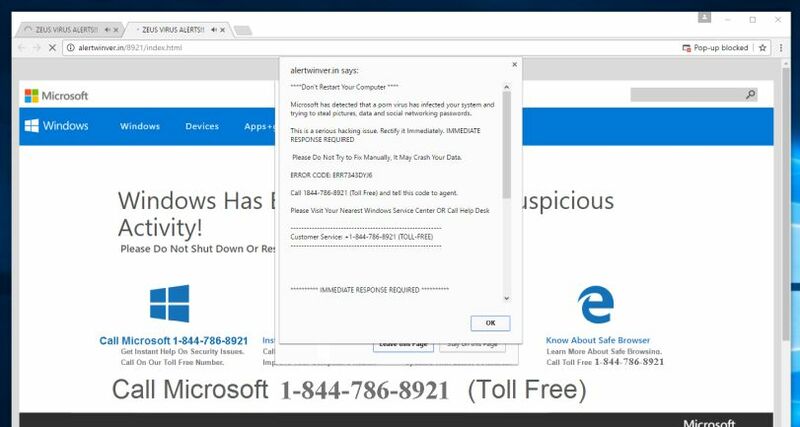 No anti-virus company or computer company will ever provide you with a phone number to call to remove a virus. All these numbers are just going to the scammers who will then say they work for Microsoft (or Norton, McAfee, etc.) and need to access your computer to fix it. If it's not a virus what is it? What you are seeing on your screen is actually a webpage disguised as a warning message. 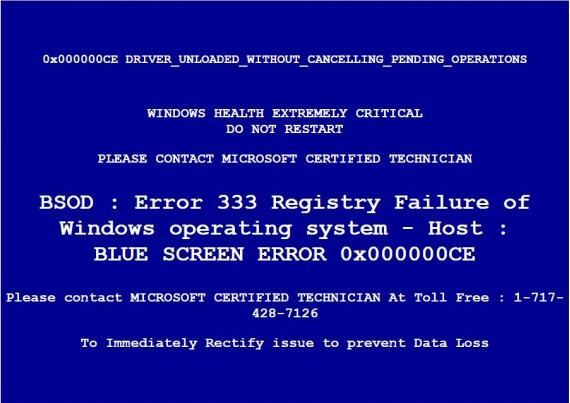 You actually don't have a virus (at least not one that this message would warn you about). What if I do call the number? If you do call the number you will get someone saying they are from a company like Microsoft or Norton or whomever - they do not! They will tell you they can fix the problem but first they need access to your computer. DO NOT ALLOW ANYONE TO ACCESS YOUR COMPUTER! If you did allow them access to your computer it's a good idea to have a real computer technician take a look at your computer to make sure they didn't leave any programs installed that allows them to have future access to your computer. All these people do is stop the message from popping up and then probably show you a bunch of other scary (but fake) things that are happening in your computer, but if you sign up for their security package all your problems are solved! This is where the real problems start. Once you hand over your credit card information they have what they really want - your money. I have had clients taken for over $4000 and others have had their entire computer locked, their identity stolen and all files deleted. Even if you decide to back out now they will start calling you daily and become threatening and abusive. Unfortunately these people operate from another country and Canadian law enforcement cannot press charges. All you can do is ignore them until they stop calling. How do I remove this message? Sometimes the simplest thing can fix this problem - reboot your computer. Despite all the warnings on the screen you will not lose any files, passwords, or whatever. Sometimes the message will continue to show up. At this point it's time to find a real computer technician to take a look at your computer. Do I have to go buy an anti-virus to stop this? If you have a computer with Windows 10 you already have anti-virus. Most people don't know that Windows 10 comes with anti-virus built in - Windows Defender. Most computers come with a 30 or 90 trial of some other anti-virus but these become useless after the trial date and should be removed immediately. When Windows 10 sees there is no active anti-virus program it will automatically turn on Windows Defender. In my opinion Windows Defender is a perfectly capable anti-virus and is what I use on all my computers. Why didn't my Anti-Virus program stop this? Because it isn't really a virus. To put it in the most basic of descriptions, it's really just an online ad trying to scare you into calling that toll-free number.